In the summer of 2008 I made a major life change. 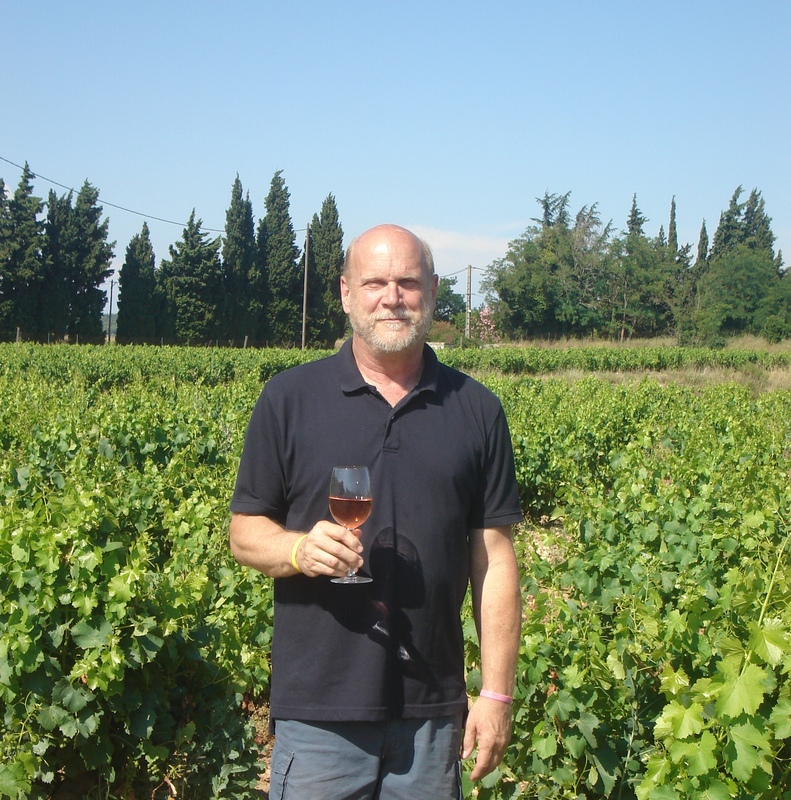 I retired from the aerospace industry, sold my house, and moved from Seattle to France to make wine. I became the new owner of Mas de la Lionne, a small wine domaine in the Cotes du Rhone, which produced red and rose wines. As an American winemaker living in the Cotes du Rhone, I bring a unique perspective to understanding the region, its wines, the winemakers and the Provencal life. And I also bring a unique palate to the making of the wines from the grapes of the region. This all began when my wife Debbie and I took our first “Wine Trip” to France in 1995. It was then that we both discovered a real love for the south of France and more specifically the southern Rhone valley. We couldn’t get enough, and so for the next 8 years we continued our pilgrimages to the region, either on our own or “dragging” friends along. But always dreaming about the one day we might just try to get here permanently. At the same time, I decided to take up winemaking as a hobby. My first vintage was in 2001, making a small quantity in my garage to gain a better understanding of the entire wine-making process. I found I had some aptitude for it and decided to see if I could actually make it and sell it for “real “–and founded GRAVES CELLARS in Seattle in 2005, making Walla Walla Valley Syrahs. In 2006 I engaged (via the internet) with a local vineyard real estate agent to see if I could make it come true. After more than a year, in November of 2007, I got an email from the agent with a new listing. It was Mas de la Lionne; a wine domaine with a vineyard (10 acres), working winery with all the equipment, and a house… everything on my list of requirements. My first day in the new adventure turned out to be Independence Day – 14 July. I jumped immediately into the farming, harvesting and winemaking tasks leading to the first release – Cotes du Rhone 2008 – from Mas de la Lionne under new ownership. In 2011 the domain transitioned from an agricultural enterprise to a negociant business. This change allows the winery to produce wines from grapes/juice sourced from other growers – either within the Cotes du Rhone or other appellations. With this increased flexibility, Mas de la Lionne now has the ability to offer wines from all the surrounding appellations, such as Chateauneuf-du-Pape. Now that you know more about me, please join our online community on Facebook.